Our greenhouses are overflowing, and it is time to get some of those plants into the ground! We will be open this weekend, on Saturday, Sunday, and Monday from 10am-5pm for plant sales (as well as other farmstand offerings, like eggs, beef, lamb, yarn, beans, wheat, and vegetables). Come by to get some great seedlings for your garden! We’ve got over twenty varieties of Tomato plants, as well as Pepper, Eggplant, Cucumber, Squash, Zucchini, Melon, Watermelon, Tomatillo, Husk Cherry, Cabbage, Broccoli, Lettuce . . . well, we may not have everything, but we’ve got the plants you need to grow a great garden this summer. Lots of flowers and herbs, too. All of our seedlings are varieties that we have specially selected to grow well here in the Hilltowns. As always, we do everything organically – we use certified organic potting soil and as much organic seed as we can find. All of our tomato plants are from seed that we grew ourselves! You can also find us at the Burgy Farmers Market on Thursday afternoons and Tuesday Market in Northampton. The farmstand is open self-service every day, all year. Starting in June, our CSA distributions will be on Monday and Friday afternoons from 3pm-6:30pm – during those times we’ll have a full selection of vegetables available as well as being on hand to help you, so that’s a great time to stop by. Our CSA distributions start this week, with distributions on Mondays and Fridays from 2pm-6:30pm. The warm weather this spring has given some crops a bit of a jump, so we have plenty of early greens and vegetables ready. Some of the summer crops that we have never harvested this early in the season are almost ready, including summer squash, zucchini, broccoli, and cucumbers. Unfortunately, the warm weather has meant that a few things, notably radishes, arugula, and the overwintered scallions, haven’t held in the field and are already done. But we will have future plantings of all three crops to look forward to later in the season. With the start of the CSA, our Farmstand hours for the rest of the summer will be Mondays and Friday 2pm-6pm and Saturdays and Sundays 10am-5pm. Expect the best selection and freshness on Mondays and Fridays, as well as being sure that someone will be around. On the weekends, we will stay within earshot of the bell in the farmstand, but it may take a few minutes for someone to get there. Vegetable selection on the weekend will be limited to what fits in the little fridge or won’t wilt. It’s time to sign-up for a summer CSA share! You can find out more about the CSA and get a signup form with all the details on the CSA page. We are planning on offering Fall/Winter CSA shares this year, but are not yet accepting signups for that option. Just because it is winter doesn’t mean that we’re done for the season. We have been selling at the Northampton Winter Farmers Market for the past month, bringing beef, lamb, eggs, yarn, winter squash, beets, onions, shallots, salad greens, cooking greens, black beans, and wheat berries. The market is in the basement of Thornes, on Saturdays from 9am to 2pm. There are many other farms at the market also, with an impressive array of meat and vegetables, as well as cheese, bread, and even wine! For our hilltown neighbors, our farmstand will be open on Friday December 16th and Friday December 23rd from 3-6pm. Stop by to get a holiday roast! We are also open by appointment during the winter. Well, this spring is just moving right along. CSA distributions start on Monday! We haven’t quite finished our new farmstand, so unfortunately will be having to use the tent again for the first few distributions. But the farmstand is very close to being finished, so if we are able to find any time to work on it, we should be able to switch over into the new building fairly soon. Finding time is getting to be a bit tricky. We (Rachel & Tevis) have a new baby – our son Owen was born a week ago, on the morning of Saturday, May 21st. The birth went well and everyone is doing great. 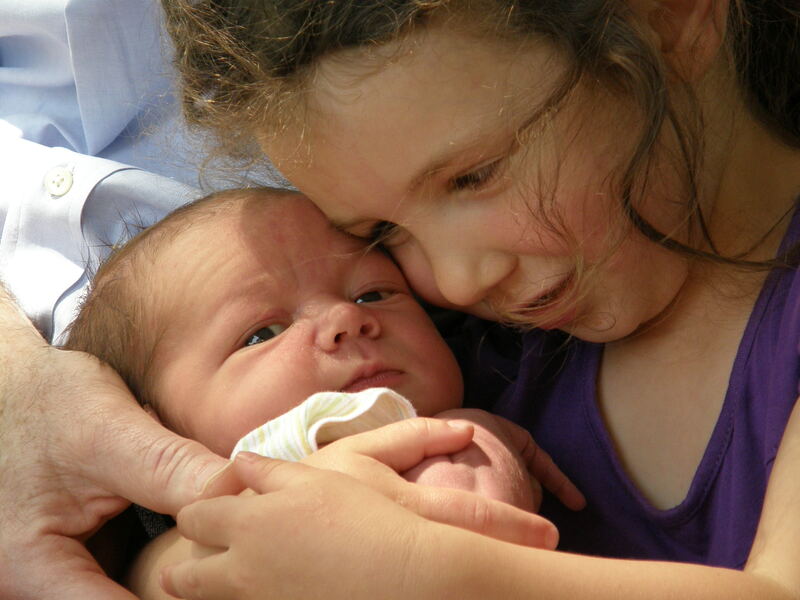 Anona is very happy to be a big sister. Three Farmer’s Markets per week while trying to get all our crops planted keeps us plenty busy on the farm. This spring has (up until the past couple days) been on the cool and wet side, and a lot of fieldwork has been delayed by rainy weather. We are hoping to get back on track this week, if the weather stays agreeable. Some of our fields have been too wet to till, so we’ve had to move things around on our field plan in order to get crops into the ground in a timely fashion. Some crops we were planning to do for “fun” (like dry beans) might get squeezed out by the more valuable crops, if the fields don’t dry out soon. We are also getting into haying season (as if we needed something else to keep busy), so hoping that some of this humidity and threats of thunderstorms will clear out so we can mow some hay without fear of it getting rained on. We are switching our laying flock over to Organic grain. This is something that we have thought about doing off and on for as long as we have been farming, and we have decided that the time has come to make the switch. We were using locally produced chicken feed from two farms, Maple Acres in Chesterfield and R & R Wirtes from Lanesboro, MA (near Pittsfield). Both farms grow grain, but also buy in a significant percentage of grain to supply their feed businesses. We feel strongly that it is important to support local farmers and small businesses, and so while we had concerns about bought-in commodity corn and soy, we felt that it was better to source our chicken feed as locally as possible. Grain from these two local feed suppliers cost significantly more than commodity grain from a major corporation, such as Blue Seal, but still cost significantly less than organic grain. Part of our previous decision to use local, non-organic grain was the desire to keep our egg price lower. Why are we switching to Organic now? There have long been concerns about negative health effects from GMOs (Genetically Modified Organisms). We knew that it was just a matter of time before problems surfaced. Well, that time is up. Scientists recently identified a tangible threat, and, frankly, it’s scary. What’s even more scary (though not surprising) is that the USDA is completely ignoring their research. Researchers at Purdue University identified a new pathogen of a type that has never been seen before. It appears to them to be a micro-fungus – a fungal organism that is the same size as a medium sized-virus (which, if we remember our high-school biology lessons, are small enough to penetrate cell walls). And not only is this type of organism previously unknown, but this micro-fungus appears to be pathogenic in a wide array of both plant and animal species. Very very few pathogens affect both plants and animals. For those who aren’t aware, Roundup Ready Corn and Soy are widespread in the commodity grain system, and so anything containing corn or soy from a commercial, industrial source (i.e., the grocery store), unless it is Certified Organic or tested and labelled as GMO-free, should be assumed to contain GMOs. So for now, we are switching to Organic Feed from Green Mountain Feeds in Vermont. Our egg price has to increase to reflect our new costs. We will continue to look for a more local source of organic feed for our chickens, but this is the best source we have found so far. None of our other livestock are fed grain. We have long avoided non-organic corn and soy, but with this new information will be even more attentive, and encourage others to also avoid GMOs. We’ve got the roof put on the new farmstand! I know that several folks were worried because we didn’t get the roof framing up during the barn raising, so rest assured, we got the ridge pole up, rafters on, and metal on. Siding should be coming next week, at which point we can start to close the space in. There will still be lots of work left to do inside to get it ready for the grand opening on May 30th, but things are moving along nicely and pretty close to schedule.